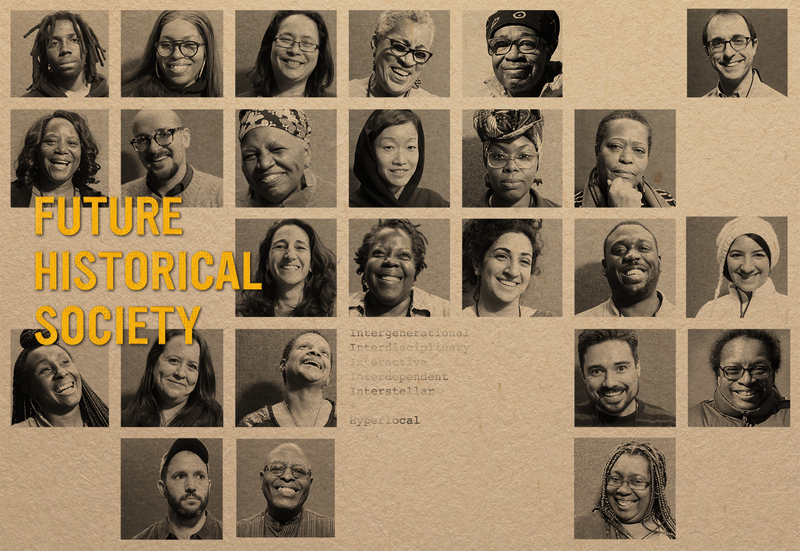 A multi-generational team of community members joining together to create a neighborhood archive that honors the histories of our changing community, while transforming our vision for the future. 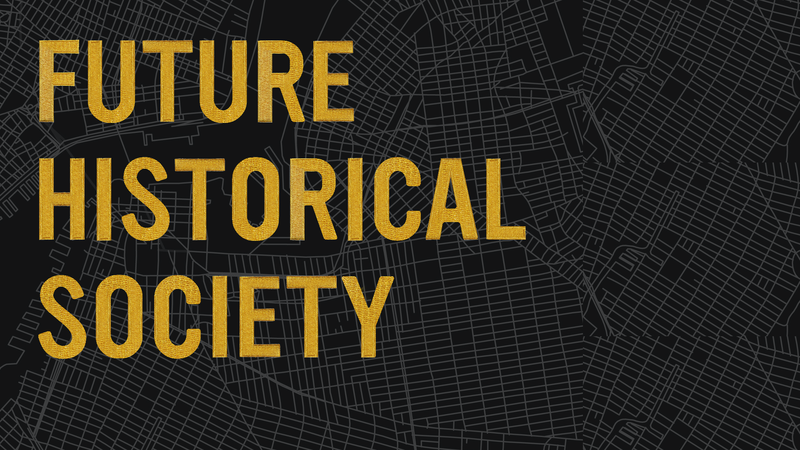 The Future Historical Society is a community storytelling project created by a multi-generational collective of Fort Greene neighbors, and led by artist Yazmany Arboleda. At businesses, churches, and parks throughout Fort Greene, personal histories of this community come to life through podcasts, performances, and visual installations created by FHS members. The stories illuminate untold histories of the neighborhood, while envisioning a more connected, interdependent future. The Future Historical Society HQ will be active at BRIC House April 24 – May 1 as part of the BRIC OPEN, a festival of arts and ideas. Stop by the HQ to pick up your map, meet members, and learn more about the groups' creative process. The Future Historical Society is commissioned by BRIC. Hear more about the members. Read this interview with Yazmany Arboleda. Find out how the FHS members create and share stories. Yazmany Arboleda (b. 1981) is a Colombian American artist based in New York City. An architect by training, Yazmany’s practice focuses on creating “Living Sculptures,” people coming together to transform their experience of the world through co-creation. His work is motivated largely by political, cultural, and social constructs. Over the past decade he has created public art projects with communities in India, Japan, Kenya, South Africa, Afghanistan, Spain, Colombia, and the United States. He lectures at UNC, MIT, and other institutions internationally about the power of art in public space. His work has been written about in the New York Times, Washington Post, UK’s Guardian, and Fast Company. In 2013, he was named one of Good Magazine’s 100 People Making Our World Better. Yazmany is the co-founder and chief creative officer of limeSHIFT, a creative agency that brings artists into communities (both public and private) to shape and elevate culture. He is also the associate director of communications for Artists Striving To End Poverty.